Hi there! 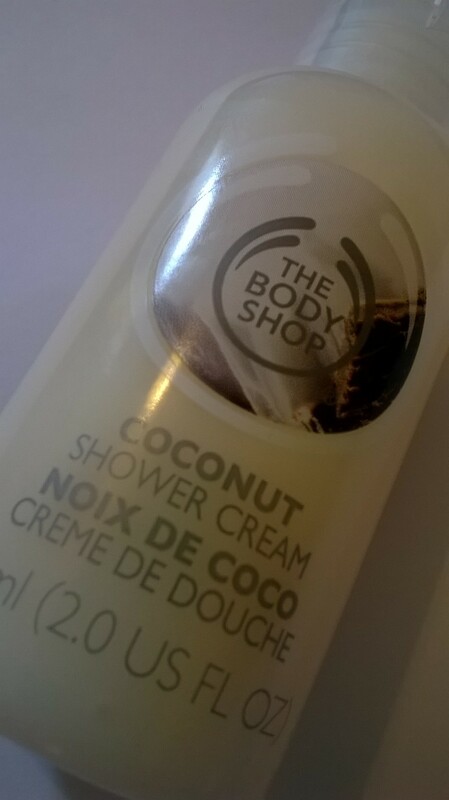 if you’ve been reading recently you may have seen me mentioning some products I recently purchased from The Body Shop. During exam season neglected myself a bit so thought some pampering goodies were needed. 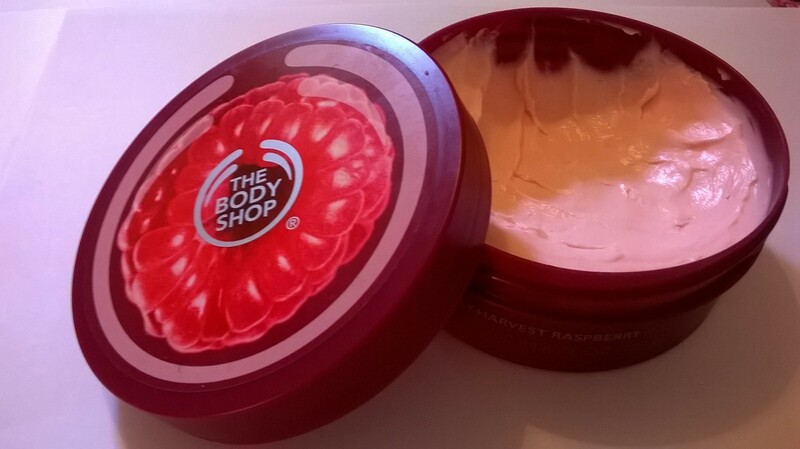 I used to love The Body Shop when I was younger. It was always a place I’d visit with my friends when shopping in Manchester, and we used to love picking up everything and smelling it! As much as I loved doing this, I never really had the funds to treat myself to anything, apart from the odd lip balm or two. Believe me, I used to have a HUGE obsession with lip balm and I did always like the scents and formulas of The Body Shop ones, but now I’m older I can justify spending a little more than the £2 I parted with at the age of fourteen, so I thought I’d diversify a little and try something new. Some of the products here are ones I’ve been using since Christmas. My boyfriend treated me to some products as part of a Christmas present, and ever since I’ve been dying to get my hands on some more products. 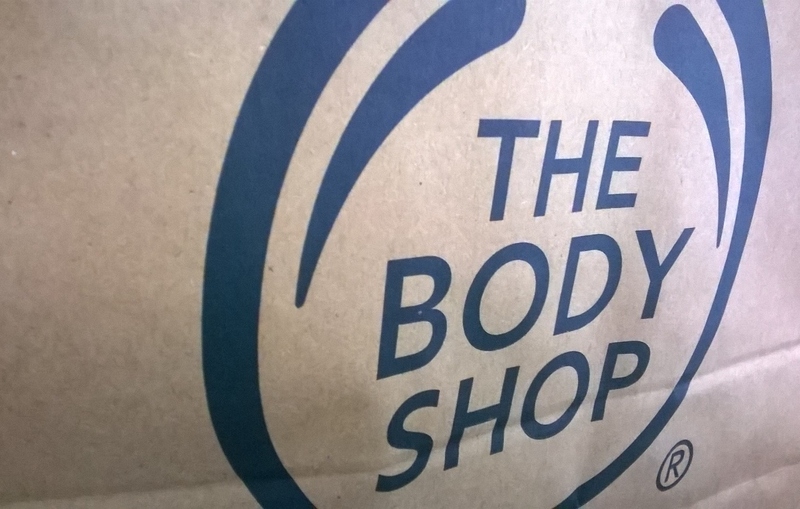 My first visit to The Body Shop resulted in a few purchases to celebrate the end of my assignments. Self indulgent? Perhaps. But that didn’t stop me. I’ve always had acne prone skin. Acne used to be something i had all the time growing up. It wasn’t just the odd pimple either, but loads and loads of painful, swollen, red bumps all over my face. It wasn’t a nice thing to contend with. I got the usual acne-related insults, the usual advice: ‘well if you stop wearing make up/wash your face it will go away!’ and people feeling the need to point out my acne as if I didn’t know it existed. My acne wasn’t just unsightly (or so i was led to believe) but it was extremely painful. Every time I moved my face it hurt. It was embarrassing and really not something i wanted to deal with. I tried a range of spot creams/washes, but of course my acne was more than just the odd spot so needed medical treatment. I used antibiotics, a vinegary liquid called zineryt, duac, and finally-whennothing else worked, they put me on a contraceptive pill that is usually prescribed for moderate-severe cases of acne called Dianette. I’m so glad to say that my skin is clear now. One of the biggest misconceptions about acne is that it’s caused by lack of cleanliness. This always frustrated me incredibly: believe it or not I had one of the most thorough skincare routines during my acne, and I always made sure i cleansed, toned and moisturised twice a day. My acne was hormonal, and as a result I still get the odd spot or two at certain times. But thankfully, for now at least, it’s under control. With all this in mind I decided to go for a skincare range that helps acne-prone skin, and The Body Shop do just that: their Tea Tree range. 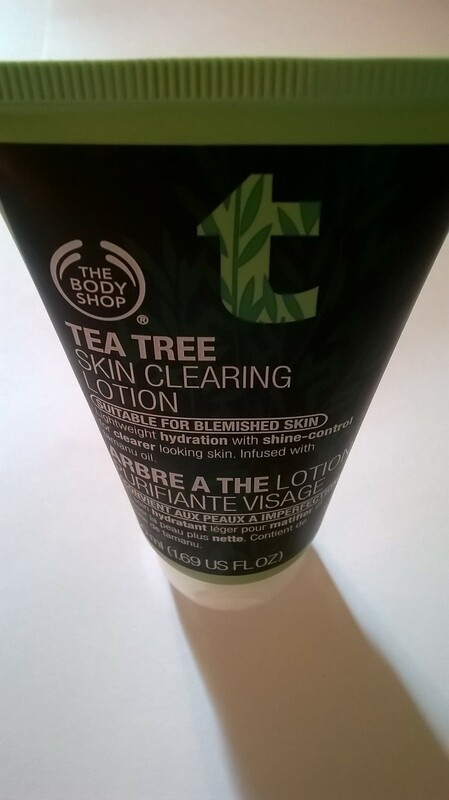 The first thing I picked up was the Tea Tree skin clearing wash. 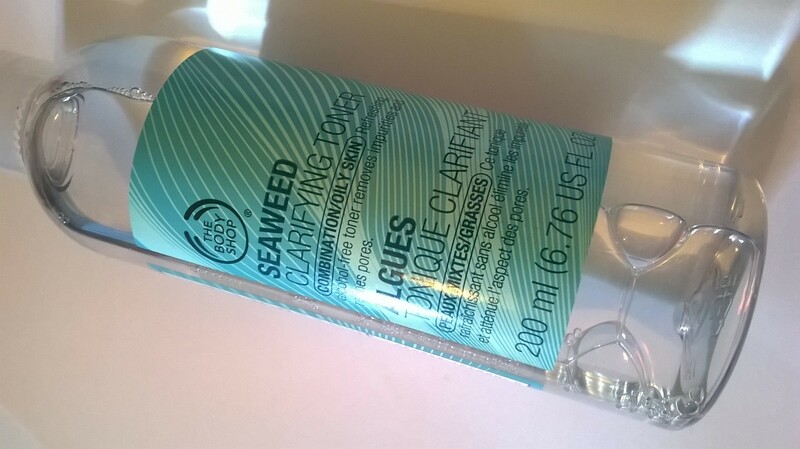 I was looking for a great, affordable wash to remove make up and keep my skin clear in the process and this really fit the bill. 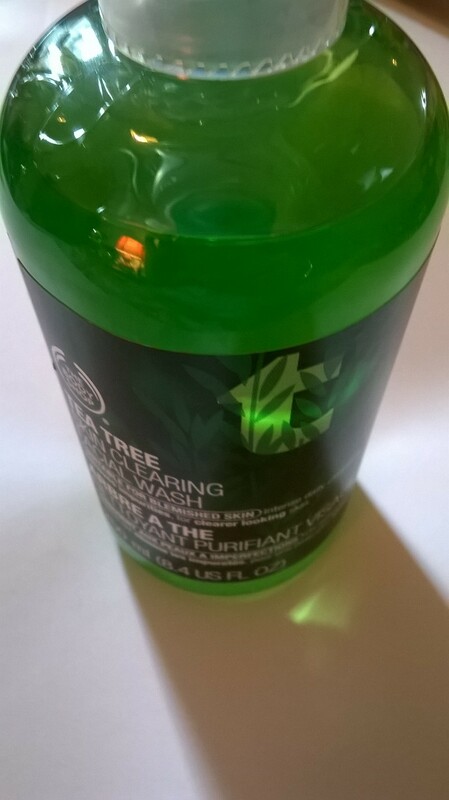 It smells very strongly of tea tree, which is no problem for me because I love the scent, but this is definitely something to keep in mind. It cost £5, but I know that the Body Shop have a lot of deals and voucher codes on so it’s just a case of looking around! 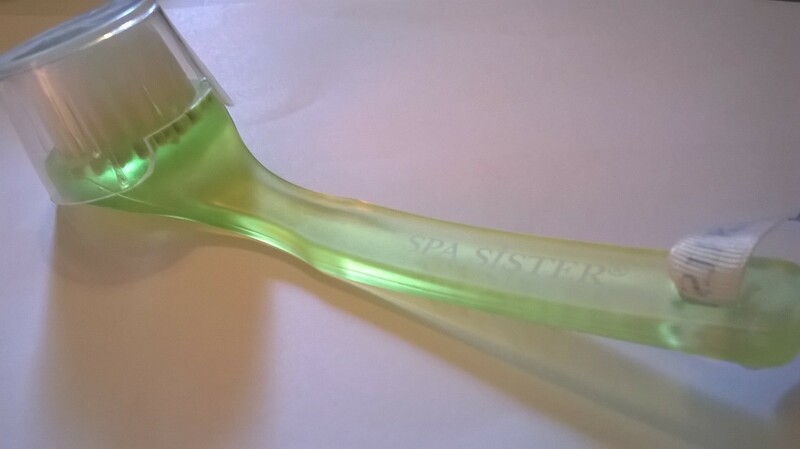 I have been using it with a complexion brush, and mine is by a company called Spa Sister and was purchased at TK Maxx for £3.99. The idea is that it exfoliates and buffs the skin while using a cleanser, almost negating the need for a facial scrub which can sometimes be a little harsh. 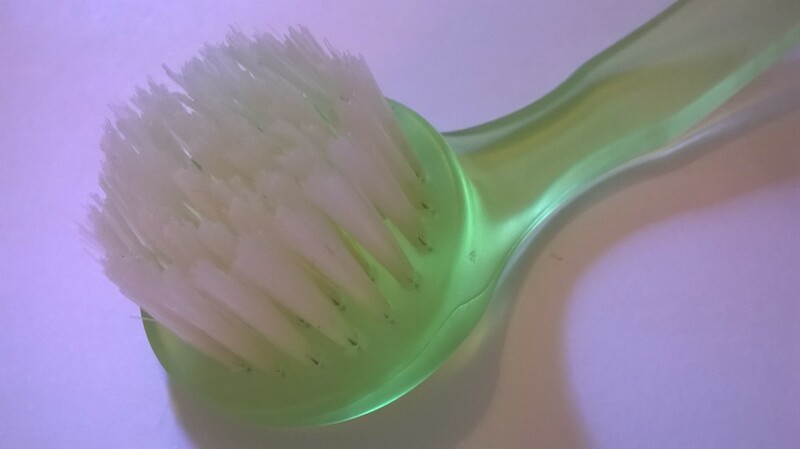 The bristles are soft enough so it’s not uncomfortable to use, yet stiff enough to remove any dirt or make up. It almost looks like a big toothbrush for you face, but do not fear; it’s really easy to use, especially with my hemi hand as it can be used mostly one-handed. I tend to wet my face, spread some of the facial wash on my skin, and buff the brush in circular motions upwards and all over my face and neck. I do avoid my eyes though; you’ll want to use a flannel or soft mitt for that. Then I just rinse my face with cool water to remove my make up, rinse the brush and leave to dry, then pat my skin dry. This technique has really been working. 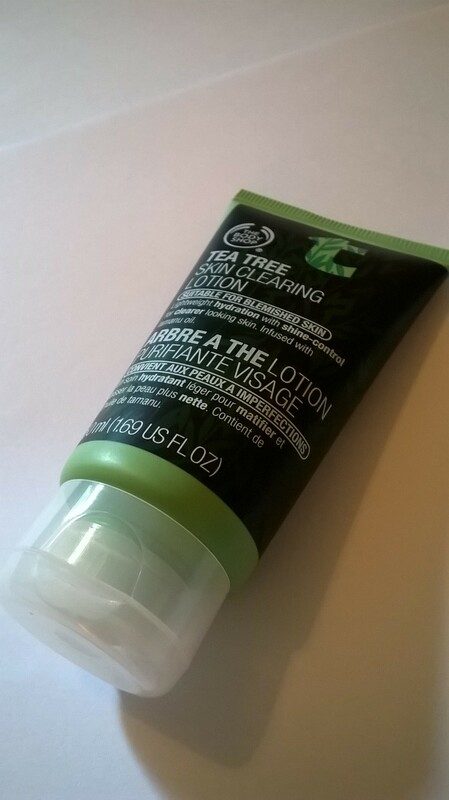 It removes more make up than a standard make up wipe, and the tea tree leaves my skin feeling very refreshed. 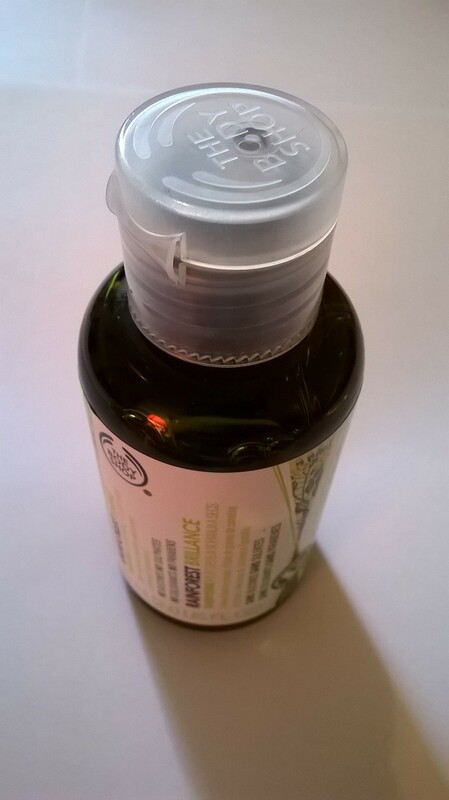 This moisturiser is very light, and like the wash, it smells very strongly of tea tree. It feels really refreshing on my face and absorbs quickly. 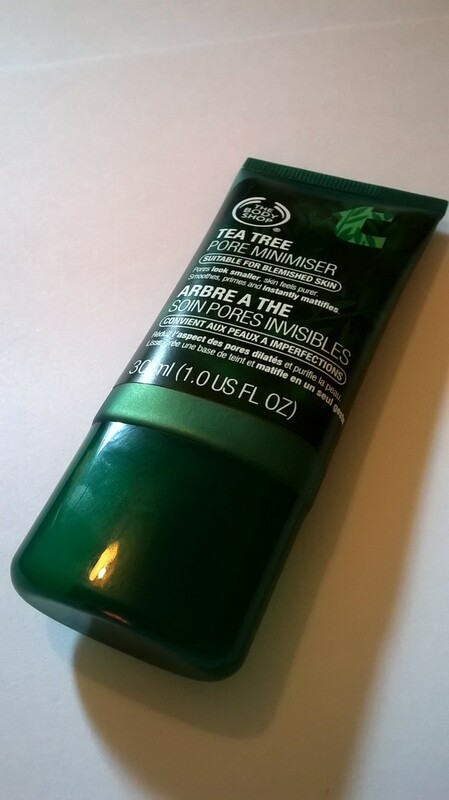 Next in the range is the Tea Tree Pore Minimiser. 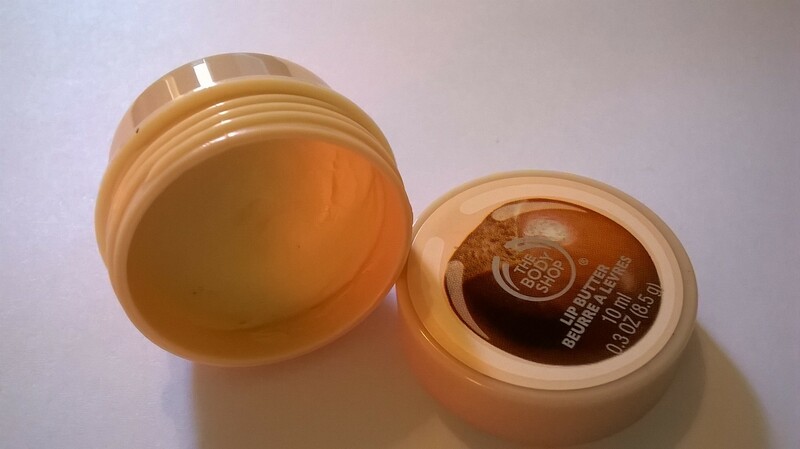 I bought this in place of a primer as it said it would make a great base for make up. It does feel great under my foundation, however I wouldn’t say It noticeably minimises my pores. It is a great addition to my routine, though. I’m already noticing my skin is less oil and less likely to break out as a result of using this range, which is really great! 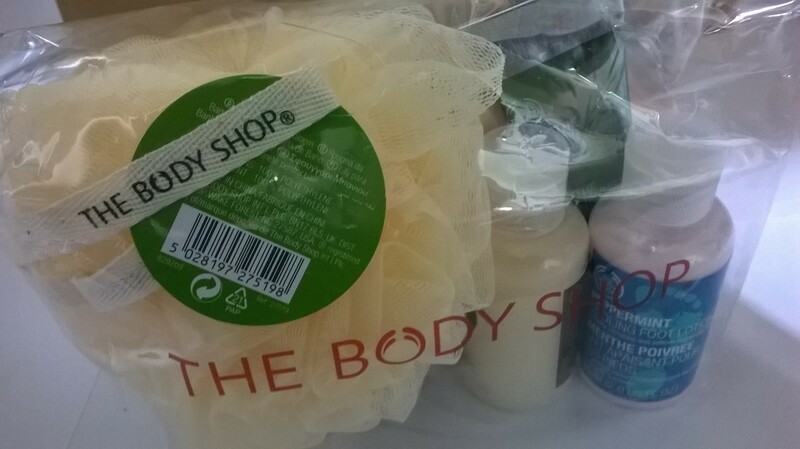 My next visit to the Body Shop was to buy my boyfriend some treats. 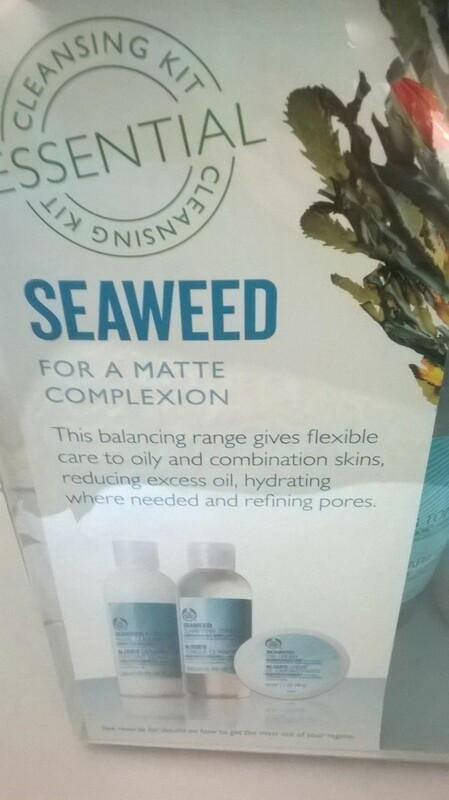 He struggles with dry skin, so I decided to get him a set of the Seaweed range and this is where the toner comes in! 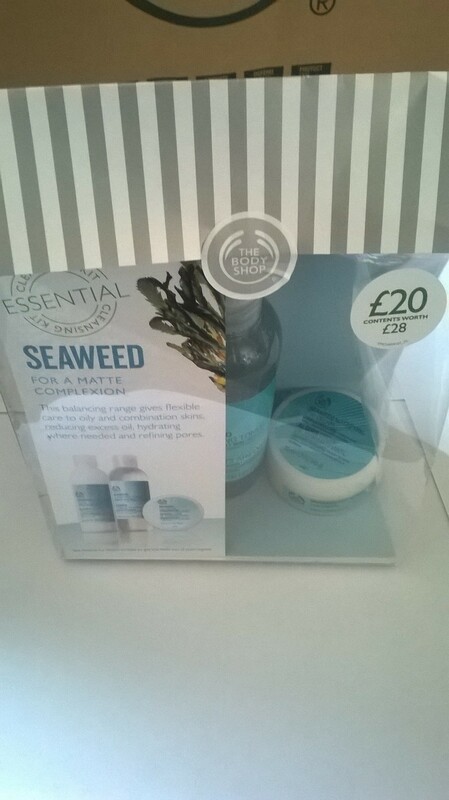 I bought the Seaweed Purifying Facial Cleanser, Seaweed Clarifying Toner and Seaweed Day Cream in a set, which saved a total of £8. Drew said he didn’t mind about having the toner, so I decided to try that instead. The toner isn’t harsh on skin, and yet leaves it feeling very refreshing whilst removing the last traces of my make up. Drew is using the cleanser with The Body Shop facial brush, which you can find here: http://www.thebodyshop.co.uk/skincare/accessories/facial-brush-with-lid.aspx . I asked him what he thought of his new goodies, and before now Drew hasn’t really used anything but soap on his face! 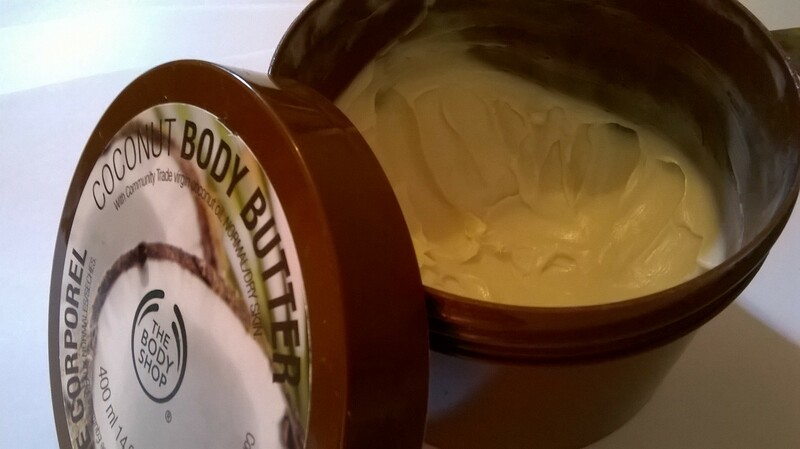 He said: ‘it’s amazing…smells really fresh and leaves my skin feeling really clean. The brush is a good size to use, it gets everywhere you need to and because of the brush, you don’t need to use lots of cleanser so I can see it lasting. The dryness on my face is also improving and I think using both the cleanser and moisturiser is helping that.’ Result! 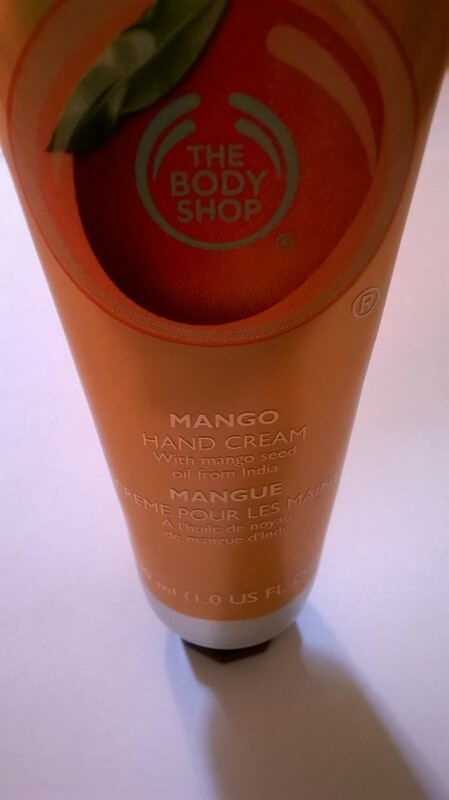 I also picked up the Mango Hand Cream. 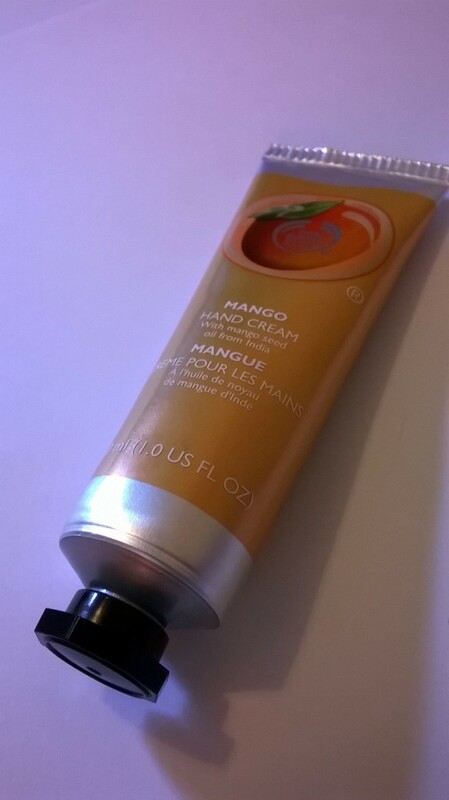 I’ve heard great things about the mango scent and I tried my friend’s Vineyard Peach hand cream and knew I needed to get one! 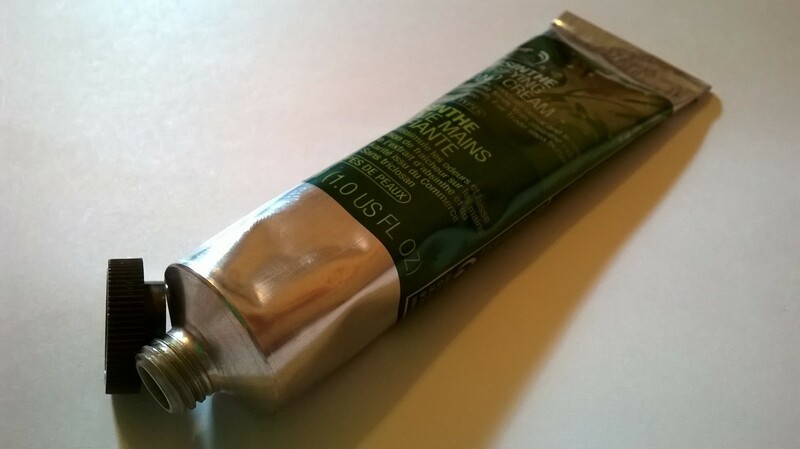 This hand cream is very light, absorbs quickly, and has a gorgeous summery scent. It’s perfect for putting in your bag for a burst of freshness during the day. Really impressed! 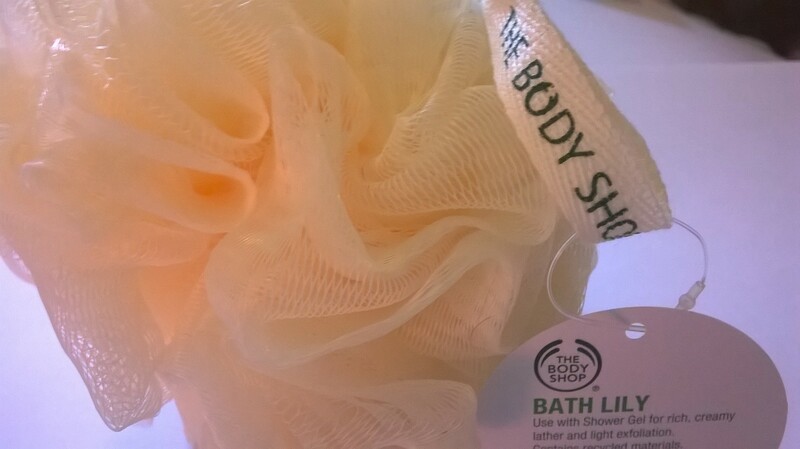 On the day, The Body Shop was giving 30% off to new members of their Love Your Body scheme. Buying the card cost £5, but you got a 50ml body butter and a free gift that was worth £23 (approximately…I can’t quite remember!). Either way. It was a great deal. Now I’ll get 10% off on every purchase when I present my card which is a lovely bonus. 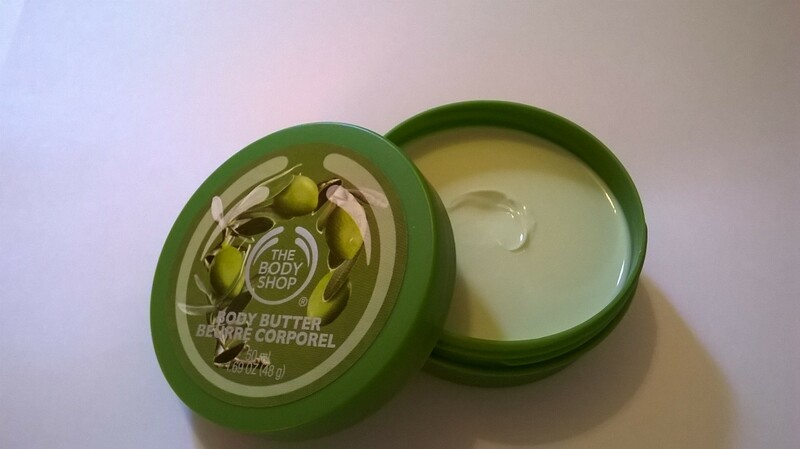 I chose an olive body butter as the 50ml gift as it’s a scent I haven’t tried before. The scent is very subtle, and the texture of this butter is quite thin in comparison to others from the range. It’s quite fresh feeling and very easily absorbed. To compare, I also have the raspberry, coconut, satsuma and grapefruit butters that I’ve purchased previously/been given. 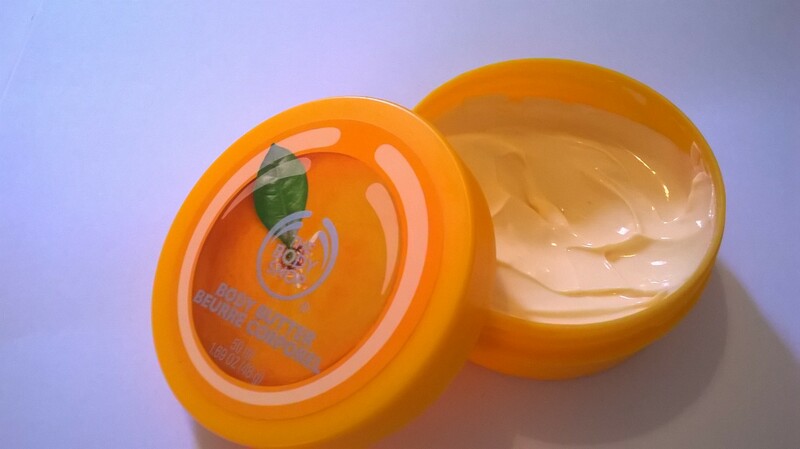 The grapefruit butter is slightly thicker than the satsuma, and has a really zingy scent that smells fresh on your skin. 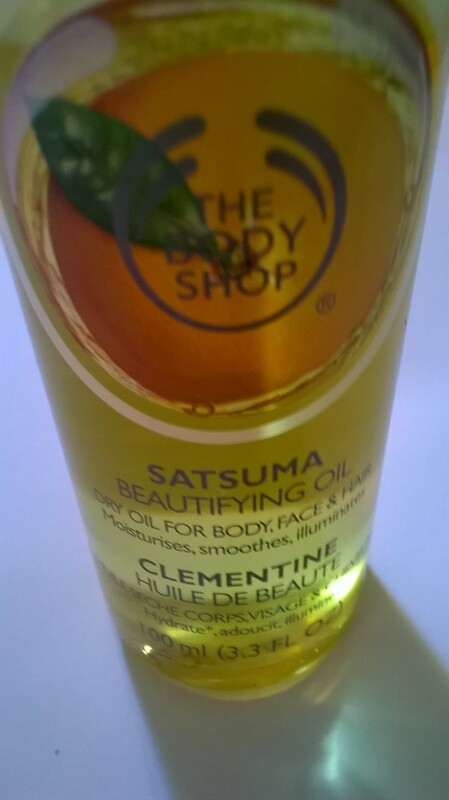 The satsuma is just delicious-smelling, and is really lovely applied in the morning. It absorbs very quickly, and leaves a subtle scent for most of the day. In comparison, the coconut and raspberry butters are much thicker in consistency and really take time to work in. Raspberry is quite sweet, but not too sweet that it’s overpowering, and the coconut smell reminds me of holidays sat in the sun with a cocktail. Bliss! All of them are extremely moisturising, and I received another 50ml satsuma butter in the free gift which was very well received! 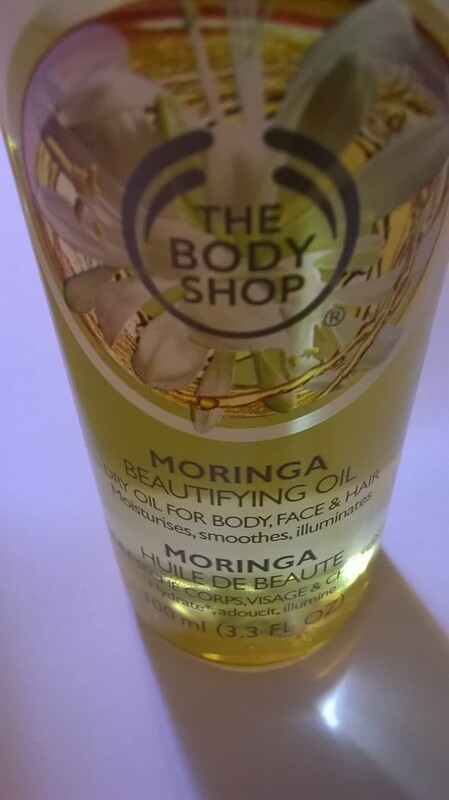 I also love the Body Shop’s beautifying oils. 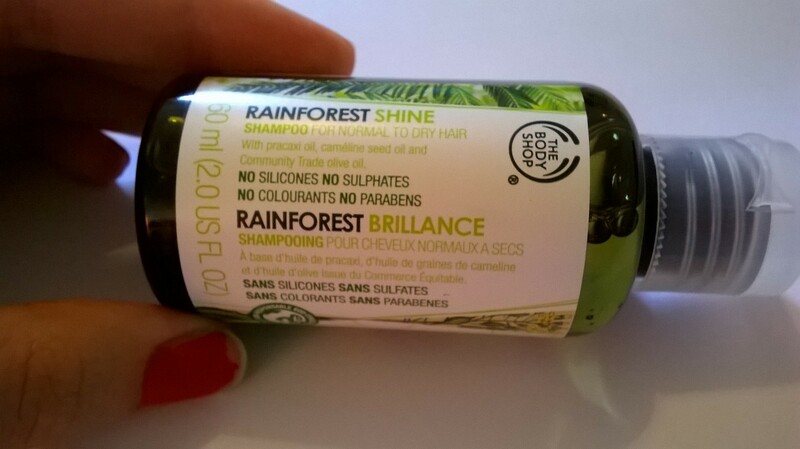 I apply them to my arms and legs for a little added sheen when I’m wearing short sleeved tops or dresses, and I apply a small amount to the ends of my hair when I get out of the shower and before my hair dries. 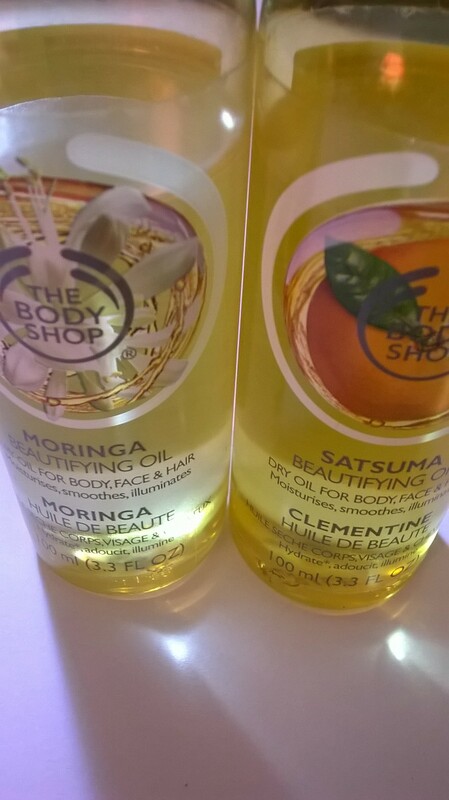 I have the moringa scent, which has subtle floral notes, and the satsuma scent which is lovely and fruity. 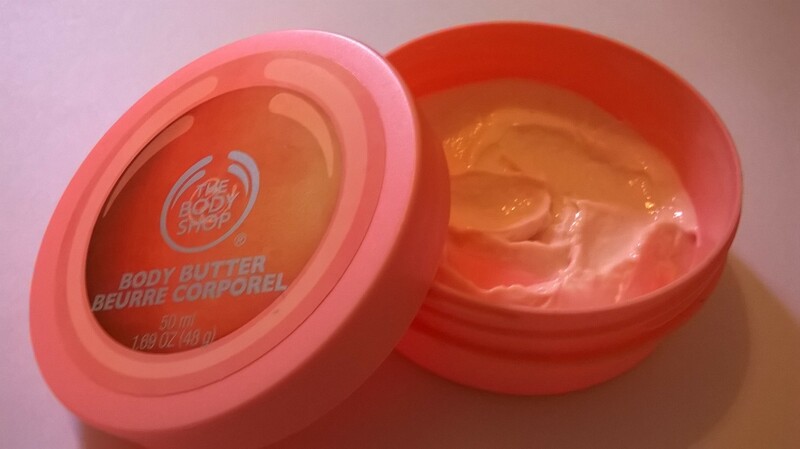 They absorb far quicker than the body butters, without feeling at all greasy. This gift had a fair few products in it, all wrapped up with a lovely shower scrubber, or ‘lily’, as they call it. I received a small bottle of the Rainforest Shine, a small Coconut shower cream, small peppermint foot lotion, 30ml absinthe hand cream, 50ml pot of satsuma body butter and a full size shea butter lip butter. I was amazed that I had so many new things to try! All of these products have completely fulfilled my expectations. The Shea butter lip butter is creamy and hydrating, perfect for applying before bed time. 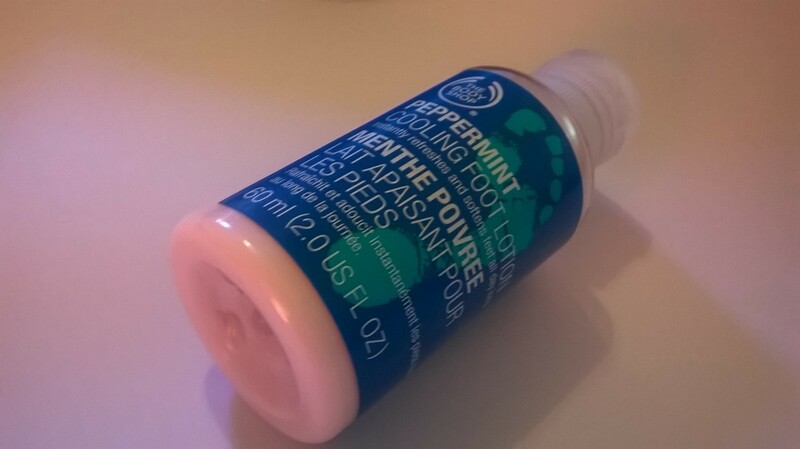 The foot lotion smells subtly of peppermint but keeps my feet moisturised and soft after a long day. I haven’t yet tried the shampoo or shower cream, but both smell absolutely lovely and I’m hoping they’ll lather up nicely and leave me feeling fresh and clean. The thing that surprised me the most was the Absinthe Purifying hand cream. The smell is extremely fresh and long lasting. It’s difficult to explain, but if you’re not keen on fruit scented hand creams then I suggest you pick this up. 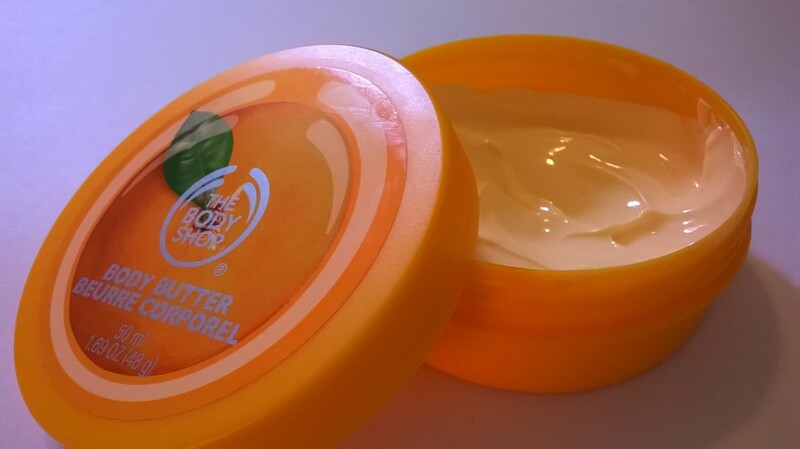 Again, it absorbs quickly leaving my skin hydrated but not greasy. Overall I’m so incredibly pleased with my purchases. I feel so much better now that I’m taking a little more care of myself. I just have to stop myself from buying any of their Virgin Mojito or Green Tea range…they both smell incredible for summer! 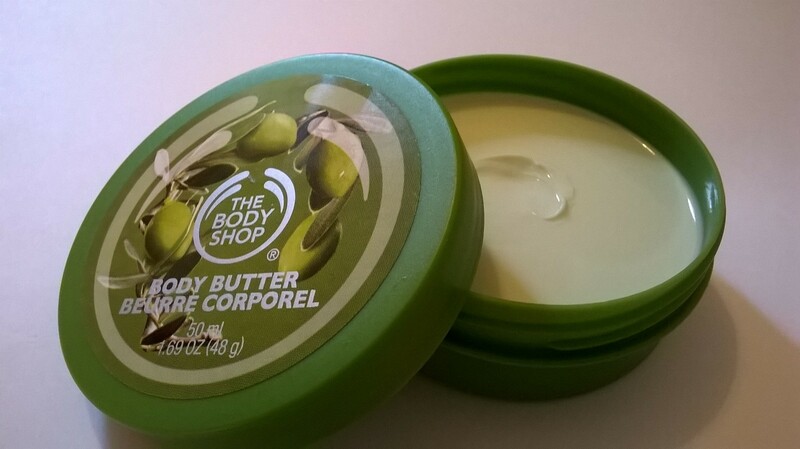 I hope this is a useful review, albeit a long one, but let me know if you have anything to say about the Body Shop or their products!